The Illini bench watches teammate Tevian Jones save a loose ball during a Big Ten Tournament loss to Iowa on Thursday in Chicago. 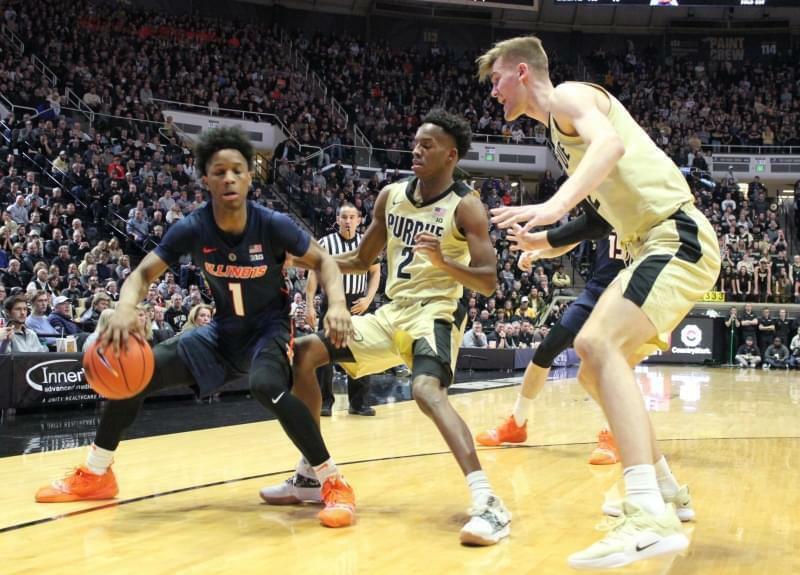 The Illini men's basketball season ended Thursday night in Chicago, where the Iowa Hawkeyes rained a barrage of three-pointers on day two of the Big Ten Tournament. The final score was 83-62. Illini head coach Brad Underwood noted that Iowa seems to have Illinois' number when it comes to long-distance shooting. “12 of 23. We’re one of the top twenty teams in three-point field goal percentage defense, and yet, you would never know that when we play Iowa,” Underwood said. That 12-23 accuracy equaled 52-percent, the same percentage Illinois hit from the field, overall. 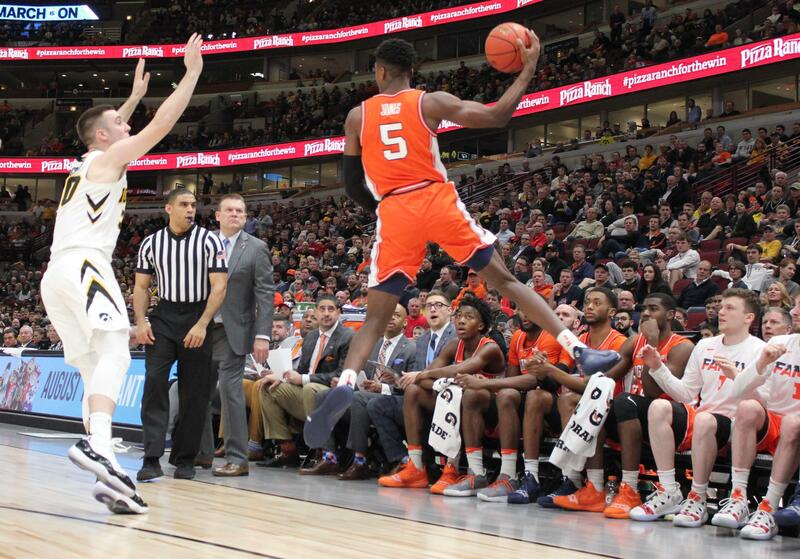 But the Illini were just 8-of-24 from long range. For Iowa, Nicholas Baer scored a game-high 17 points in 17 minutes, including 5-6 shots from the arc. Joe Wieskamp added 13 points, and Tyler Cook a dozen. 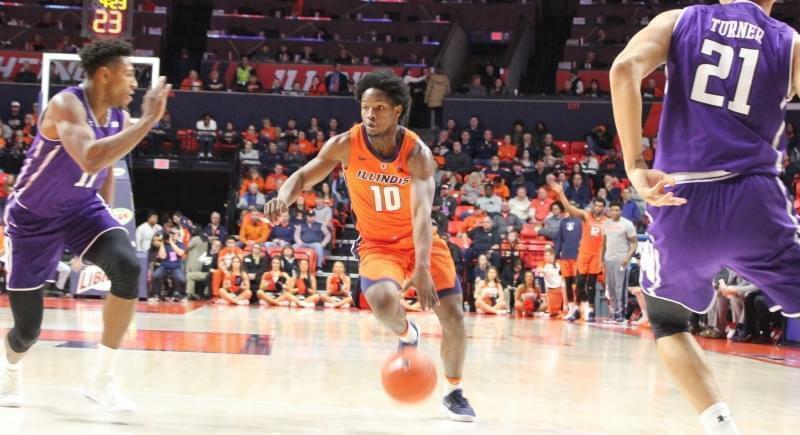 Illinois got 12 points from Giorgi Bezhanishvili, eleven apiece from Tevian Jones and Trent Frazier, and ten from Ayo Dosunmu. The Illini committed 15 turnovers while forcing only 8. The Hawkeyes were assessed only 9 fouls for the entire game, while Illinois committed five in the first 96 seconds of the second half. 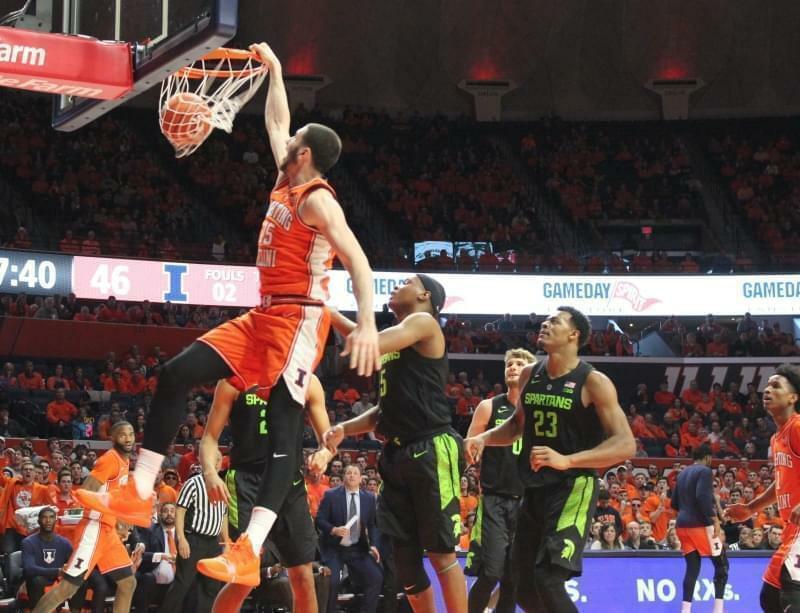 Despite the lopsided loss, the Illini were looking forward to the future. Underwood said he's excited to take the team to Italy this August, especially because the preparation for that trip will afford the team an NCAA-allotted ten additional summer practices. 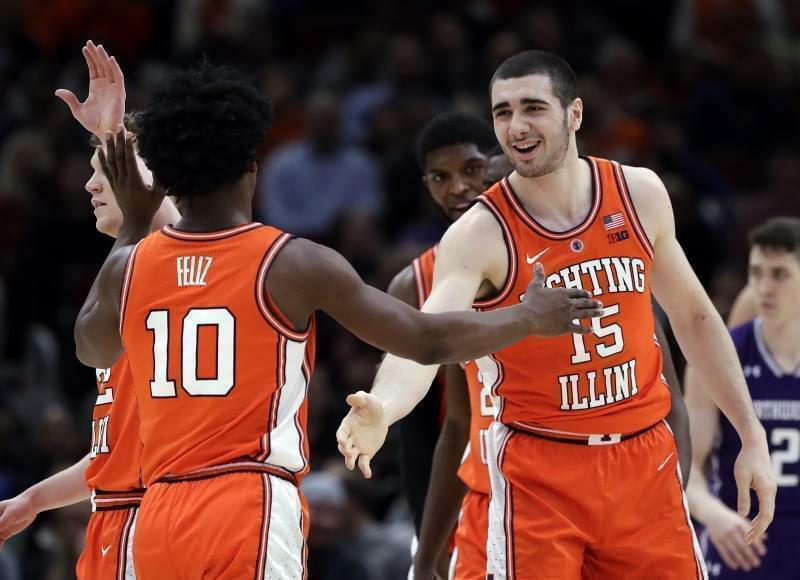 Bezhanishvili again expressed his happiness just to be playing big time college basketball, less than a year from being plucked from obscurity and thrust into a prime role. "I'm really blessed to be here. Great home, great opportunity," he said. "I'm excited for the offseason to try to grow more and more as a player." The Illini finish the season with a 12-21 record. 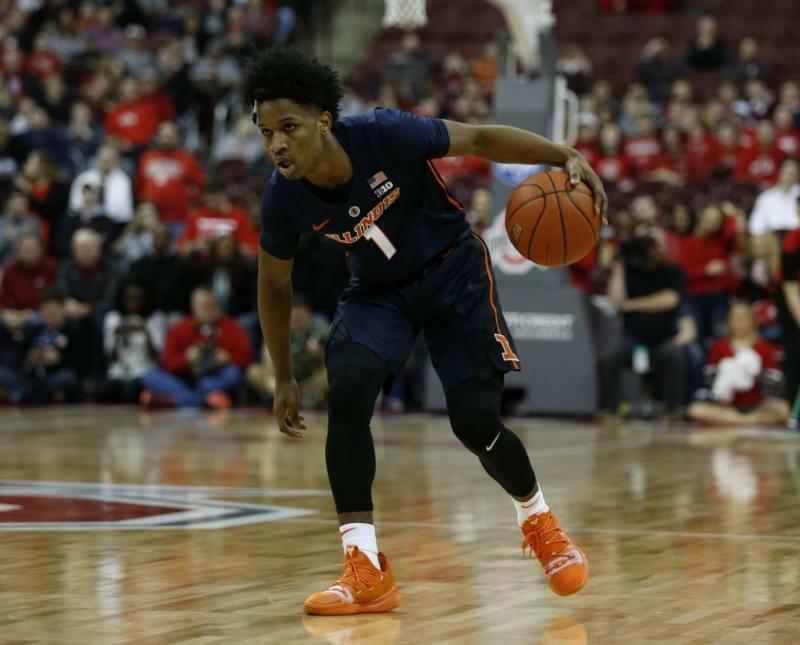 Aaron Jordan, Drew Cayce and Adonis de la Rosa played for the final time in an Illini uniform. 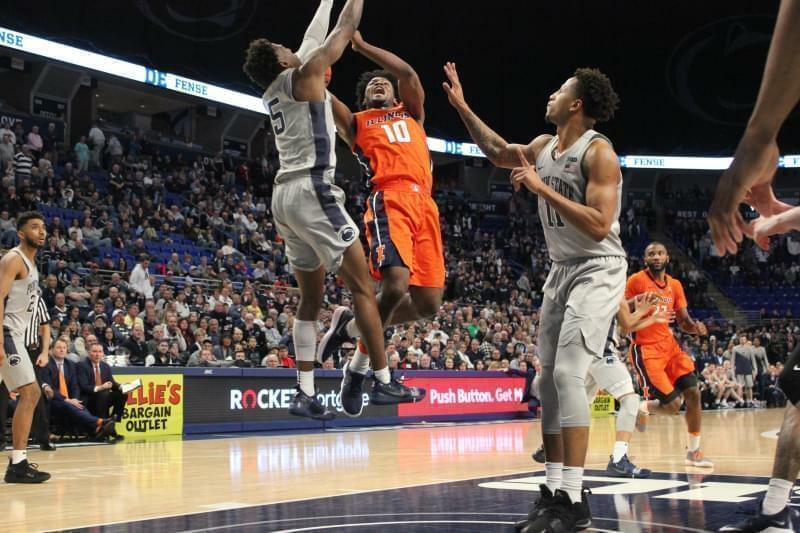 Dosunmu and Underwood both chose against a definitive answer to the question of whether Ayo would return for a sophomore season.